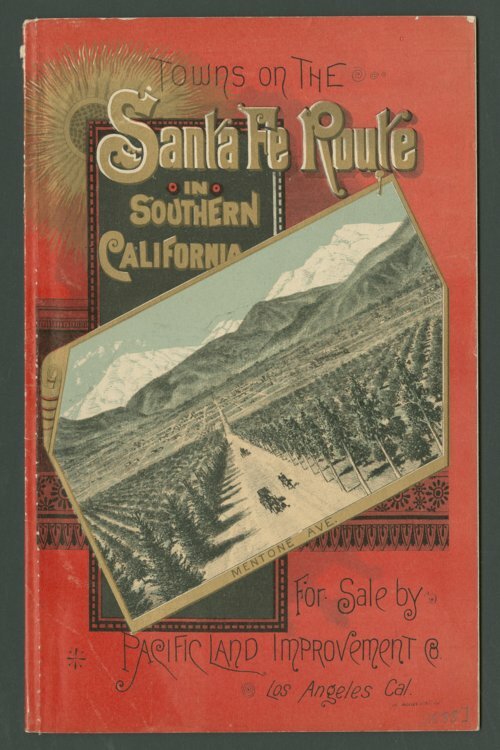 A brochure published by the Pacific Land Improvement Company promoting towns along the Atchison, Topeka & Santa Fe Railway Company in southern California. The publication focuses on the prosperous towns that are located in the counties of Los Angeles, San Diego, and San Bernardino, by drawing attention to their climate, soil and profitable products. Creator: Press of Los Angeles Printing Co.